Right-hander Boof Bonser and infielder Jed Lowrie were both placed on the 15-day disabled list retroactive to March 26. Bonser, who missed all of 2009, is recovering from a right groin strain that he suffered during a March 22nd outing against the Tampa Bay Rays. Lowrie is recovering from mononucleosis, his most recent setback after missing significant time last season with a wrist injury. Bonser was 0-2 with an 11.57 ERA before his injury and Lowrie finished his spring 2 for 9. This installment of the series features two very promising outfielders in the upper levels of the Red Sox organization. Both players have continued development in key areas ahead of them this season, with a focus on proving they are ready to push the major league roster. Strengths: Fully healed from his hand injury and more comfortable letting loose with his swing, Kalish put together a solid season between two levels in 2009, and after an initial adjustment period, came on strong offensively at the end of the year in Double-A. Once a weakness for him, his patience and approach at the plate have evolved into a key aspect of his offensive game, and Kalish demonstrates above-average control of the strike zone to work counts to select pitches he can drive. With a smooth and quick swing, he drives through the point of contact to produce line drives to all fields and stays back well to take what pitchers give him. A strong player, especially in his forearms and hands, Kalish begun to tap more into his power potential and added a little extra lift into his swing to boost his home run totals in 2009. Despite not having elite speed, Kalish is a very good base runner and can swipe bases due to the excellent reads he gets off pitchers. Defensively, he shows solid-average range in the outfield and an accurate arm. Kalish is capable of playing all three outfield positions, but most likely projects as a corner outfielder at the major league level while being able to play center field in a pinch. A hard worker and driven player, he made strong strides in 2009 and has pushed to solidify himself in the outfield mix at the upper levels of the Red Sox organization. Development Needs: Since he is most likely a corner outfielder at the major league level, a lot of Kalish’s offensive needs stem from the development of his power. Despite improving the lift he creates with his swing in 2009, he still tends to hit a few too many groundballs, can slash at outside pitches rather than drive them, and roll over fastballs when he is scuffling. Continued improvement with driving and lifting his pitches will be a key area to focus on to flash slightly above-average power in the big leagues, without sacrificing too much of his contact skills and getting away from his disciplined approach at the plate. On occasion, he can be susceptible to off-speed pitches down and in when he is behind in the count. Already very muscular, as Kalish continues to physically mature in his early-to-mid twenties he could lose a little bit of his speed, which will take away from his skills as a center fielder. However, he projects as an above-average corner outfielder and gets good reads off the bat in those spots in the outfield. Kalish has hung in well against lefties during his time in the low minors, but some improvement in that aspect will keep him on the track of a major league regular. 2010 Outlook: Kalish looks set to break camp with Portland, but his stay there could be a shorter one if he can continue to build upon the trends that he displayed at the end of the 2009 season. Now a more featured part of the lineup and a hitter that opposing teams are going to pitch that much tougher, the challenge is in front of him to maintain that even-keel approach at the plate that has made Kalish successful in his career thus far. Positive signs of development will be strong contact rates and a reduction in his strikeouts at Double-A in 2010. As he turns on more balls to drive them with lift, it’s possible to see a rise in his home run totals. Kalish has entered the stage of showing the organization that he is ready for the major league level, and a promotion to Pawtucket during the summer will be a good indication that the team feels he isn’t too far off from being able to make a contribution to the 25-man roster in some capacity. With a big season ahead of him, Kalish seems to be on the cusp of putting those finishing touches on his game and realizing the potential that the organization saw when drafting him back in 2006. Strengths: A wiry yet gifted athlete, Reddick continued his fast-tracked career to rise from Double-A to the big leagues in 2009. With excellent bat speed and exceptional eye-to-hand coordination, he unleashes a smooth, sweet swing from the left-side of the plate that produces surprising power for a player of his physical stature. Reddick has above-average power potential and generally hits balls hard with a lot of backspin into the gaps to produce extra-base hits. He has a knack for getting the barrel on the ball and can drive tough pitches on, or even off, the plate to all fields. Reddick can lift balls with relative ease. Although his speed doesn’t translate into him being a base stealer, he uses his speed and ability to judge balls off the bat well in the field, and has the makings of an above-average defensive outfielder. Able to play all three outfield positions, Reddick impressed enough in center field during his stay in the Eastern League that some scouts believe he could indeed stick at the position at the major league level. His quick release and precision accuracy highlight a solid throwing arm, enabling him to cut down runners trying to take the extra base and pile up outfield assists. Development Needs: Reddick’s over-aggressiveness and need to develop a more patient approach have been well documented over the last couple of seasons. After making some strides with this aspect of his offensive game in Double-A, Reddick regressed at Triple-A and the big league level with his approach, which caused him to struggle considerably to produce consistent contact. He chased a lot of high fastballs out of the strike zone and became pull-happy at the plate. Getting back on track with his development is the key need for him to take advantage of his above-average offensive skills and be a consistent hitter at the highest level. More use of the opposite field and utilizing his quick hands on balls running away from him, rather than trying to jerk these pitches, will enable Reddick to use the whole field more to combat pitchers from working him away consistently. The goal at the plate for him is to be more selective in the pitches he picks out and stray away from getting himself out early in the count. This improvement doesn’t necessarily have to be a spike in the number of walks he draws, but more focus towards having quality at-bats and keeping his weight back longer before exploding through the ball. 2010 Outlook: Reddick has been having a strong spring in major league camp, and he seems to be tightening up his approach some from the end of last season. Unless there is an outfield injury in the days leading up to opening day, he’ll report to Pawtucket to begin the year to continue his seasoning and his work on sharpening his pitch selection in the upper minors. After struggling with the initial jump to Double-A in 2008, Reddick came back an improved player in 2009. He has the history of making adjustments on his side, and 2010 will be a season focused on making further adjustments to prove he can be a consistent hitter at the major league level. Improved contact rates, a cut in his strikeouts, and better pitch selection will all be signs that he is back on track with his development at the plate. With the potential to be a regular in a corner outfield position for the Boston Red Sox, Reddick has a challenging season in front of him, and he hopes to prove he’s going to be a fixture for seasons to come. According to Jorge Ebro, a writer from the El Nuevo Herald in Havana, the Boston Red Sox have signed 23-year-old outfielder Jorge Padron to a minor league contract with a signing bonus of $350,000. We are awaiting confirmation of this signing from major league sources. Padron, a left-handed gap hitter, played for Cuba's Pinar del Rio squad and hit .345/.429/.518 in 2008-2009 following up on a .333/.419/.459 performance in 2007-2008. He also played in the 2004 World Junior Championship as Cuba's left fielder and helped the team win gold by hitting .346 during the tournament. Padron struggles against lefties but has dominated right-handed pitching during his career and boasts solid contact rates with gap-to-gap power potential. Junichi Tazawa, the 23-year-old right-hander and current #7 prospect on SoxProspects.com, has been diagnosed with an ulnar collateral sprain in his right elbow. The news comes after Tazawa's visit with Dr. James Andrews yesterday after he experienced intermittent discomfort in the elbow starting during the second half of last season. Tazawa and team officials have not decided on the course of action to correct the injury as of yet but rehab and surgery are both on the table. Tazawa was signed as an international free agent in December of 2008 and had a stellar freshman campaign in the Boston system in 2009. He posted a 9-5 record with a 2.57 ERA in 18 starts with Double-A Portland before making two starts with Triple-A Pawtucket. He made his major league debut on August 7 against the New York Yankees, and during his time with Boston posted a 7.46 ERA in six appearances. This spring has been a rough one for Tazawa, as he has struggled to the tune of a 10.29 ERA in 7.0 innings pitched, allowing five home runs. Jose Vinicio showed some swagger and already looks excellent defensively, but I'm not really exaggerating when I say that the 16-year-old still has the body of a little leaguer … Robert Coello has been hitting 91 mph with his fastball, while also showing a nice 79-80 split change … Armando Zerpa, recently returned from the Dodgers pursuant to Rule 5, looks a little overweight, and was only hitting 86 mph with his fastball … Michael Bowden showed an 89-91 mph fastball, a low-80s slider, and a 76-77 mph curveball on Saturday, when he struggled against Minnesota’s Triple-A club …Just for some context on how casual the minor league spring training games are, teams often use two designated hitters in one game, some players play at two levels in the same day, and teams alter their batting orders mid-game on occasion … Michael Almanzar's lower body mechanics are definitely smoother this year, but his swing is still a little long … We spent some time watching the Sea Dogs game with broadcaster Mike Antonellis on Saturday – check out his blog this season… Dustin Mercadante was also among the cuts this weekend … Swen Huijer's fastball only got up to 82-83 mph on Saturday – he gets minimal torque with his body, but still has a very projectable frame at 6’9” … Fabian Williamson flashed an advanced curveball and a nice changeup, but his fastball only hits 88 mph … 2009 18th-round draft pick Renny Parthemore was hitting 87-88 with his fastball in the Rookie game on Saturday … We interviewed Tim Federowicz, Ryan Lavarnway, David Renfroe, and Daniel Nava over the weekend – look for Q&As to be posted over the next few weeks … Jon Still has been working in the outfield with Pawtucket … Wilfi Santana and Pedro Chourio were among the DSL cuts this off-season … Miles Head's swing looks really long, he'll probably be working on tightening it up in extended spring training … I heard a player say to Reymond Fuentes that Felix Sanchez is the fastest player he’s ever seen … On the injury front, Chia-Chu Chen has been out with a broken finger, while Kyle Stroup has missed time with a knee injury … Renfroe has been playing third base all spring, I expect him to be slated for Lowell this season … Among those in attendance at Minnesota’s minor league complex on Saturday were Ron Gardenhire, Tom Kelly, and Paul Molitor … Meanwhile, Theo Epstein was on the scene at Boston’s Player Development Complex on Saturday to see Madison Younginer and Alex Wilson … Wilson’s fastball sat at 91-92 and topped out at 94-95 mph … Younginer’s four-seamer sat between 93-95 mph, and he also mixed in an 89-90 mph two-seamer and a low-70s curveball … We took a trip to the site of Boston’s new spring training complex this weekend – nothing but cows grazing in open space … Three hitters that really impressed with their power this weekend were Yamaico Navarro, Luis Exposito, and Will Middlebrooks, each going deep multiple times over the course of the week … We should have some additional DSL signings from this off-season to report in the next few days … David Mailman impressed with his quick bat speed … Che-Hsuan Lin makes it look easy in center field – he should be an elite defender at the major league level …Stephen Fife is showing a much improved changeup - 79-81 mph with good drop and arm speed … Look for Oscar Tejeda to spend a lot of time at second base with Salem this year in deference to Ryan Dent … Roman Mendez is the real deal – his fastball sits at 92-94 mph and tops out around 96 mph with excellent life, his low-80s slider has plus potential, and he also flashed a mid-80s straight changeup with some drop … We caught our first live glimpses of Fuentes this week - he has a smooth, quick swing, but doesn’t generate a lot of power right now … Stolmy Pimentel had an up-and-down outing on Wednesday, missing a lot of bats with his changeup, but showing inconsistent command with his curveball and his fastball … Jeremy Hazelbaker looks like he can stick in center field, and he also showed above-average speed and the ability to drive the ball well, but he probably can stand to pack on some more muscle … Brandon Jacobs creates a lot of lift in his swing, but it needs compacting; he already has a major league body at just 19-years-old … Dent continues to show improvement defensively, head and shoulders beyond where he was two seasons ago with Lowell … We really liked what we saw out of Alex Hassan this weekend, he has a strong knack for squaring up on balls to produce hard contact … Mike Lee (pictured) had a smooth outing this weekend, mixing in all of his pitches, repeating his delivery well, and staying under control … Not much to say about Jose Iglesias’ defense that hasn’t already been said, so I’ll just say that he has the makings of an perennial Gold Glover … The shortstop also showed great bat speed and solid swing mechanics, but the big question mark this year should be how he handles advanced secondary offerings in the early going. Media Links: The Boston Herald reports that Casey Kelly will be starting Tuesday's game against the Rays in Port Charlotte … Gordon Edes of ESPNBoston reports that Junichi Tazawa has gone to Birmingham, Alabama to have his elbow examined by orthopedist James Andrews … Edes also notes that Boof Bonser may be headed to the DL to start the season, meaning that the last two spots in the Boston bullpen are down to four players: Alan Embree, Scott Schoeneweis, Joe Nelson, and Scott Atchison … Rob Bradford of WEEI.com reports that ex-Sox Prospect Brandon Moss was designated for assignment by Pittsburgh on Monday after a sub-par spring … Mike Reiss of ESPN has a nice Q&A with Tug Hulett … Ed Reed of the Odessa American talked to Ryne Miller about his first major league appearance this spring … Bradford adds that Nelson may opt out of his contract if he is not added to the 25-man roster by June 15 … Amalie Benjamin of Boston.com has a great piece up on the catching situation in the Sox system … Finally, here are three reports on the road that Ryan Westmoreland may expect in his recovery from his surgery, from the Norwich Bulletin, ESPNBoston, and the Simmons Voice. Chris Hatfield, Chris Mellen, Jonathan Singer, John Gray, and Corey Hersch of SoxProspects.com contributed to this report. According to Gordon Edes of ESPNBoston, the Red Sox have trimmed their roster to 35 by optioning catcher Dusty Brown and newly acquired infielder Kevin Frandsen to Triple-A Pawtucket in addition to reassigning catcher Gustavo Molina and third baseman Jorge Jimenez to minor league camp. All four players figure to see significant playing time in Pawtucket this upcoming season. Frandsen was acquired for cash or a player to be named later on Friday. 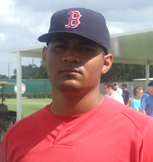 Jimenez was recently returned to the Red Sox by the Florida Marlins after he was taken by the Houston Astros in the Rule 5 Draft in December and subsequently traded to Florida. In other roster news, Sox skipper Terry Francona also acknowledged that right-handers Boof Bonser and Daisuke Matsuzaka will not be a part of the opening day 25-man roster as they continue to work their way back from injuries. Today's edition of the series highlights two advanced prospects within the system, with an eye on sharpening their games to become future fixtures with the Boston Red Sox in the years to come. Strengths: A Cuban defector and one of the top international free agents of 2009, the Red Sox aggressively pursued Iglesias and inked him to a team-record $6 million bonus. Flashing well above-average defensive skills, he projects as a perennial elite defensive shortstop at the major league level. Iglesias has excellent instincts and extremely quick hands, effortlessly getting to balls to his right or left in the field. His smooth, fluid transfers enhance his plus throwing arm that shows pinpoint accuracy across the diamond. Scouts who have seen him during his short time in the United States have all commented that Iglesias is about as close to an 80 defensively on the 20-80 scouting scale as is going to come along. At the plate, he features a smooth, compact swing that whips towards the point of contact, and he has the ability to pull his hands in through the hitting zone to clean out inside pitches. His above-average bat speed gives him projection as a contact hitter with continued progress in his offensive development, and he has shown an early knack for producing line drives. An exciting and very talented player, Iglesias has excellent potential to be a major league regular and a long-term fixture at the shortstop position for the Red Sox in seasons to come. Development Needs: Iglesias will have to adjust to the rigors of baseball in the United States and settle in against professional pitching. A pull hitter right now, he’ll have to develop more of an up-the-middle approach and use the opposite field consistently to keep pitchers from living on the outer third of the plate against him. He could stand to improve on his patience at the plate to work counts and not be too overaggressive early in at-bats. With a smaller frame, Iglesias doesn’t project to add much more muscle, and his projection as a hitter is mostly tied into how much contact he is going to make at the major league level. He’s shown the ability to barrel some balls up in the early going, but he pushes balls more than drives them right now. It remains to be seen how his pitch recognition will fare against a steady diet of advanced off-speed pitches. Scouts are split on Iglesias’ bat and questions linger as to what type of offensive contributions he is going to be able to make. 2010 Outlook: Iglesias spent the early portion of spring training with the major league team and impressed with his overall performance. After being optioned to the minors, it is still a little bit unclear where he is going to be placed to start the 2010 season. If he can continue to show he can handle himself in the batter’s box against upper-level minor league pitching to finish off the spring, Iglesias has a strong chance to break camp in Double-A. One thing is certain, Iglesias will make tough defensive plays look easy and turn in his fair share of spectacular ones over the course of 2010. He will be challenged offensively if placed in Double-A, but if early indications hold true, he’ll get the bat on the ball and drive some balls into the left-center gap and left field corner as he continues to settle in. Improvements in his approach and patience will show with him drawing some walks, working deeper into counts, and increasing the amount of balls he hits to the opposite field. The Red Sox were determined to bring Iglesias into the organization, and early returns have shown they got a gem of a defensive player. 2010 will be about developing the offensive game to fulfill projections of being the future starting shortstop for many seasons to come. Strengths: 2009 saw Tazawa not only settle into life in the United States, but also rise through two levels of the minor leagues and make his major league debut during a pennant race in his first season of professional baseball. Featuring advanced secondary offerings, Tazawa uses his slider and curveball to fool and change speeds on hitters. His 77-81 MPH slider shows hard bite at the upper reaches of its velocity to get batters to chase when they are behind in the count and the ability to back up on hitters when he takes a bit off of it, causing them to give up on the pitch before it drops over the arm-side corner of the plate. Tazawa mainly relies on his mid-70’s curveball to finish batters off as it breaks out of the strike zone and into the dirt with tight rotation. Polished as a pitcher, he has the ability to throw all of his pitches at any point in the count and often works backwards on hitters to keep them guessing. Tazawa’s split-fingered fastball may show the most potential out of all of the offerings in his repertoire. He uses it like a change-up, and the bottom falls out of the pitch about three-quarters of the way to the plate. The pitch is extremely deceptive due to the excellent arm action he shows with it, and it could emerge as an excellent weapon for Tazawa as he works it into his pitching patterns more regularly. After mainly working out of the set position in Japan, he made good strides on pitching out of the wind-up and showed he can make the necessary adjustments to continue along the path of a major league starting pitcher. Development Needs: Tazawa needs to improve the consistency of his fastball, which is directly tied into whether he can fulfill his ceiling as a mainstay in a starting rotation. Working at 88-92 MPH and sitting around 90 MPH, his fastball can fluctuate in velocity from outing to outing. Added focus on strengthening his lower body will help Tazawa maintain more consistent velocity throughout the long-haul of a professional season. His fastball flattens out at higher velocities, and it will be important for him to stress working lower in the zone with the offering, where it shows more tail in on right-handed batters and can get under the hands of hitters. Tazawa has excellent overall command of his fastball, but he’s going to have to throw it with more precision at the major league level, staying out of the middle of the plate and throwing it for more strikes on the corners so batters cannot sit on it. By trusting his fastball more and pounding the lower portion of the strike zone with it early in the count, Tazawa will be able to set up his plus arsenal of secondary pitches to generate more swings and misses. Having not dealt with much failure prior to coming to the United States, he’ll need to stay more level-headed in tough situations and respond better to tough innings. 2010 Outlook: Set to begin the season with the Pawtucket Red Sox, Tazawa will provide starting rotation depth during the 2010 season and will work to polish off his arsenal, with a main focus on bringing his fastball up to the level of his secondary offerings. Positive signs of development will center on him pounding the strike zone more with his fastball, which will lead to an elevation in his strikeout totals at the Triple-A level. Tazawa came as advertised in 2009, and 2010 is a season for him to push himself to the next level. Even at 23 years of age, he still has some projection left due to his relative inexperience as a professional. His secondary offerings will continue to serve him well, and with a little more polish over the course of the season, they can all grade out as at least above-average. At some point in 2010, the Red Sox are going to look to Tazawa to help the major league team. In what role that will be will depend on the pitching needs of the team, but expect this season to be one of putting the finishing touches on an already-advanced product and giving a glimpse if a 25-man roster spot is on the horizon in 2011. During our recent visit to the Red Sox Player Development Complex, we were able to record the current spring training rosters. The players in minor league camp are split into five teams, roughly equivalent to being the spring training squads for Pawtucket, Portland, Salem, Greenville, and Lowell/GCL. Since players currently in major league camp have yet to be sent to the minors, the minor league rosters, at this point, consist of players ticketed both for that level and the one below, so they only give us an idea of where these players may go once camp breaks. Also, note that these rosters are far from firm – players are absent on some days when they are called up to the major league club for a game, other players are called up to fill in for those who are not present, and pitchers sometimes move to different levels in order to get their work in where there are innings available. To show how volatile these rosters are, take as an example the roster movement on Saturday. The day prior, Tom Di Benedetto, Reid Engel, Josh Papelbon, D. Tyler Wilson and Dustin Mercadante were cut. A number of players were reassigned: Fabio Castro and Darnell McDonald to Triple-A from major league camp, Lars Anderson and Yamaico Navarro to Double-A from Triple-A; Will Middlebrooks and Oscar Tejeda to High-A from Double-A; Derrik Gibson, Michael Almanzar, Jeremy Hazelbaker and Ken Roque to Low-A from High-A; and Felix Sanchez, David Renfroe, Jose Garcia and Miguel Celestino to the rookie team from Low-A. A number of players were called upon to make the trip to Sarasota with the major league club, including Kade Keowen, Aaron Bates, Ryan Khoury, Mitch Dening, and Ryan Dent. After catching Casey Kelly’s bullpen session, Luis Exposito was heard saying he had the rest of the day off. All of this movement created plenty of holes in lineups, so Ty Weeden and Jon Hee moved up to Portland from Salem and Keury De La Cruz, Drew Dominguez, Brandon Jacobs and Joantoni Garcia moved up to Salem for the day from Greenville and short-season. With Michael Bowden starting for Pawtucket, Adam Mills got his work in the rookie game. Finally, Miles Head was pulled out of the rookie game and over to the Greenville game when Almanzar, the only third baseman on the roster, had to leave the game with what looked like a jammed finger. Given how much movement there can be on a given day, the rosters below are not presented as definitive. There is still plenty of movement left to occur as players are sent down from major league camp – Ryan Lavarnway, for example, will almost certainly not break camp with Portland, which would mean a double-promotion past Salem. However, the rosters do at least give us an idea of what the Sox may be thinking – again using Lavarnway as an example, he looks like a good bet for Salem rather than Greenville given that he is still with the Double-A team at this late stage. The Red Sox have acquired 27-year-old infielder Kevin Frandsen from the San Francisco Giants for a player to be named later or cash considerations and have also signed veteran left-handed reliever Scott Schoeneweis to a minor league deal. Frandsen, originally selected by the Giants in the twelfth round of the 2004 amateur draft, will report to Boston's major league camp tomorrow. In parts of four major league seasons, all with San Francisco, Frandsen has hit .240/.304/.341 in 174 games. 2009 saw Frandsen spend the majority of his time with Triple-A Fresno, hitting .295/.352/.438 with 13 home runs and 51 RBI. Over the course of five minor league seasons Frandsen has hit .318/.381/.452 in 355 games. He is expected to compete for a spot as a utility man for the Red Sox this season and does have one option year remaining. Schoeneweis, 36, was released by the Brewers on Thursday and has allowed six runs in 7.0 innings of work this spring. The eleven year veteran has compiled a 4.97 ERA with a 46-57 record in 562 big league appearances with the Angels, White Sox, Blue Jays, Reds, Mets and Diamondbacks organizations. He posted a 7.13 ERA in 24.0 innings of work last season as a member of the Arizona bullpen. According to MLB.com, Brian Shouse was released today by the Red Sox. The 41-year-old Shouse was considered to be in competition for one of the last two spots in the Red Sox bullpen, along with Alan Embree, Joe Nelson, Scott Atchison, and Boof Bonser. Red Sox manager Terry Francona complimented Shouse's performance this spring but said his organization felt it had better options. "We asked him to come in and compete, and he did a very good job of that," Francona said. "Statistically, he had a very good spring. Saying that, after our meetings and looking at the construction, potentially, of our bullpen -- looking at left on left, which is probably what his strength should be, I just don't know that we were going to do that as opposed to having a Bard or certainly an Okajima or a Delcarmen or a Ramon (Ramirez)." Sources close to SoxProspects.com are also reporting that the Red Sox have cut multiple players from minor league camp. Outfielder Reid Engel, infielder Tom Di Benedetto, and pitchers D. Tyler Wilson and Josh Papelbon were all given their release today. Finally, pitcher Fabio Castro was optioned to Triple-A Pawtucket while outfielder Darnell McDonald was reassigned to minor league camp. SoxProspects.com has learned that the Red Sox have signed 25-year-old right-hander Zach Hammes to a minor league contract. Hammes was a highly-regarded prospect after being drafted by the Los Angeles Dodgers in the second round (51st overall) of the 2002 draft out of Iowa City High School. He is 6'6", 220 and throws an effortless 92-94 mph fastball with plus life as well as a decent changeup. He has struggled with control during his six-year minor league career, compiling a 4.93 ERA in 164 games (60 starts) with a 4.8 BB/9 ratio and 44 wild pitches. Hammes last pitched in 2008 as a member of the Double-A Jacksonville Suns, posting a 5.31 ERA in 38 games before retiring following the 2008 season. In the lower half of the system, the Red Sox philosophy regarding starting pitchers is similar to the one the club employs with shortstops, as the best arms are given the opportunity to stay in the rotation until pitching their way off, even if their future is likely in the bullpen. This gives pitchers greater opportunity to work on things like secondary pitches, command, and the mental aspect of attacking hitters than would come from one- or two-inning stints, and occasionally a player like Justin Masterson even bucks the “future reliever” label and proves an ability to start in the majors. To accommodate the resulting atypically large number of starters, the club employs a “piggyback starter” system at Greenville and Lowell, with the starter going five innings to be followed by another pitcher on a five-day schedule who will pitch the remaining four. With a number of promising young arms like Stolmy Pimentel, Alex Wilson, Madison Younginer, Drake Britton and Roman Mendez, this means there are enough innings to go around for everyone. The Lead Story: Possibly the Red Sox prospect with the highest breakout potential is Pimentel, the 2007 Latin Program Pitcher of the Year who held his own as a 19-year-old in Greenville last season. He certainly has work to do on his game, but he is quite advanced for a pitcher his age, so he should be able to handle his likely promotion to Salem. If he can match or improve upon his numbers from last season, Pimentel could start appearing on lists of the top prospects in baseball. Another international free agent with tons of upside, Mendez was impressive in the Gulf Coast League last season, hitting 96 mph and posting dominant numbers. Based on his dominance in the GCL, Mendez could get his first taste of full-season ball with Greenville this spring, but if the club thinks his secondary pitches still need some work, me may stay behind in extended spring training and pitch for Lowell. Britton came back from Tommy John surgery throwing harder than he had in his entire life, sitting in the mid-90’s. He was not challenged in seven short starts split between the GCL and New York-Penn League, so he will start the season with Greenville in his first taste of full-season ball. Since he will likely be on a relatively short innings limit, the piggyback system would allow him to throw shorter outings at first without taxing the bullpen. Alex Wilson was nearly unhittable in his first pro action for the Lowell Spinners, even moreso than is typical for the college arms the Red Sox so love to draft. The typical progression for a player with his profile would be to skip a level and begin the season in the rotation in Salem, where he will be challenged to get hitters out using more than his fastball. We will also see if Wilson can sustain his stuff over longer outings, as he was limited to two- to three-inning stints as a Spinner. Younginer was the other prize arm from the Sox 2009 draft, but he did not see any game action after signing at the August 15 deadline. The young righty’s 2010 assignment will depend on how advanced he proved to be during the Fall Instructional League and Spring Training – consider him perhaps a 65/35 bet to start in Lowell instead of Greenville. Below the Fold: The Red Sox acquired Williamson in exchange for David Aardsma last offseason, and while the latter went on to have a great year as the Mariners’ closer, Williamson had a solid campaign himself in Greenville. After beginning the season as a piggyback starter, his success earned him a move into the rotation, where he became arguably the Drive’s top starter after the promotions of Casey Kelly and Stephen Fife. A promotion to Salem this year may show whether the soft-tossing lefty is the real thing or a one-year wonder. 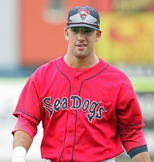 Huntzinger had a quietly strong season in 2009, showing he could succeed in the South Atlantic League after a short, weak showing there at the end of 2008. Now used to the rigors of a full professional season, he has some breakout potential and will move up to Salem. Clay’s sinker generates a lot of groundballs, but not many strikeouts. Although his 2009 numbers do not stand out, getting through a full season after rehab from Tommy John surgery was a step in the right direction. There is a significant chance the 2006 first-round pick, now 22, will be moved to the bullpen to see if that jumpstarts his development, as his sinker could be devastating in such a role. He is on the cusp of a promotion to Salem, but could begin the season with what would hopefully be a short stint in Greenville. Volz’s stock soared following his performance as Team USA’s closer in the summer of 2008, but a disappointing spring at Baylor led to him dropping all the way to the ninth round. The Sox gave him $550k to sign, making him somewhat of a high-risk, high-reward pick depending on his ability to regain the mechanics that helped him dominate two summers ago. He should pitch for Greenville in his pro debut, but could stay behind in extended spring training for a month or so if the team feels he needs work on his mechanics first. Rivera and Consuegra combined with Mendez to give the GCL Sox a potent 1-2-3 Latin punch in the rotation in 2009 – frankly, the only three consistent starters at that level due to rainouts and scheduled off days. Rivera’s numbers were only slightly less mind-blowing than Mendez’s, as the 2008 Latin Program Pitcher of the Year carved up GCL hitters. Rivera may not light up the gun like Mendez, but he was successful enough that Greenville is a possible assignment for him. Consuegra, while not quite as impressive on the stat sheet, made a nice recovery from an injury-plagued 2008 campaign. In the interest of preserving his arm, Consuegra could move up to Lowell for one last year in short-season ball. Hoping to follow the footsteps of those two will be Rodriguez, but the 2009 Latin Pitcher of the Year may jump to Lowell in his U.S. debut. He dominated DSL hitters, but could stand to cut down on his walks. Cabral and Perez were unable to establish themselves in starter/piggyback roles in Lowell. Both enter their fifth seasons in the organization and may need to have success in Greenville at some point in 2010 to stick around … Cervenka got a $350k signing bonus but struggled mightily in the GCL in his pro debut, getting opportunities to start but failing to take advantage of his opportunities. Ideally, struggling at that level after missing a shot to win a job in Lowell motivated him to come into camp this year more prepared for the rigors of pro ball … Parthemore got a six-figure signing bonus in 2009 and should make his debut in Ft. Myers as well … Ortega arguably had as much success as Rodriguez in the DSL last year, but did not receive an invite to the U.S. for spring training. He could earn a chance to come State-side in workouts leading up to the DSL season, but if not, he should be the ace of the DSL staff this year … Vellette, Taveras and Lastreto, on the other hand, will be coming to the States to make their debuts. All should join the staff in the GCL, the first two likely as starters and the third perhaps dependant on how the draft falls … Both Alcantaras and Betancourt signed last summer during the International Signing Period and will debut in the DSL … Bailey, by most accounts, had attitude issues and chose to stop playing baseball in 2009, spending the year on the suspended list. His career is over barring a change of heart. The Red Sox announced today that pitchers Ramon A. Ramirez and Michael Bowden and first baseman Aaron Bates have been optioned to Triple-A Pawtucket. Well-traveled pitcher Jorge Sosa was also reassigned to minor league camp. Ramirez posted a 7.50 ERA in four appearances this spring, striking out one batter while walking seven in six innings of work. In Bowden's lone start of the spring, he went three innings, giving up six hits and three runs. Bowden also made three relief appearances, yielding two runs in 5.2 innings out of the pen. Bates struggled offensively this spring, hitting just .179/.226/.214 in 28 at-bats. Sosa appeared in four games after arriving late to camp due to visa issues, putting up a 5.40 ERA in 5 innings. In other roster news, WEEI.com's Alex Speier reports that third baseman Jorge Jimenez is now with the big club as a non-roster invitee after being returned from Florida pursuant to Rule 5 on Sunday. With today's moves, Boston now has forty players in big league camp. Our second Q&A of 2010 features Ryne Miller and his unique story of going from a porter in an apartment complex to being ranked the #42 prospect in the Red Sox system. Originally signed by Boston as an undrafted free agent in July 2007 out of Weatherford College, Miller enters his fourth pro season as a full-time starter slated for a return to Double-A Portland, where he finished 2009. The right-hander split last season between High-A Salem and Portland, going 8-2 with a 2.77 ERA in 27 games with Salem and 2-2 with a 2.75 ERA in 14 games with the Sea Dogs. Thanks to Ryne for taking time out of his busy spring training schedule to speak with me. John Gray: Before you even set out on your current career path, you once gave up baseball to play quarterback at the University of Louisiana-Monroe. What led you to make that decision, and what led you back to baseball? Ryne Miller: I grew up in West Texas and football is the main sport there, so growing up I always wanted to play football. So when I got the scholarship to ULM, I took it and never thought twice about baseball. They switched me from quarterback to tight end - that was a position I never cared to play. This caused me to stop going to class and stop caring about committing myself to school or sports. I went back home and started working as a porter at an apartment complex and sat out a whole year of school. One hot summer day in Texas, I was working and I looked up at the sun and said, "This is not what I want to do with my life." I called my dad and told him I wanted to go back to school and he was very supportive and helped me to really get back on track. JG: When you returned to baseball, how did you decide on Weatherford College? Also, they briefly made you into a side-arm pitcher before you decided to switch back to coming over-the-top – what did you think were the pros and cons between the two styles, and what led to you changing back? RM: My decision to go to Weatherford was easy, it's close to my home and it was a small college. I knew I could concentrate on school and baseball without any distractions. The pitching coach wanted me to throw side-arm, so I really just did what I was told. My team didn't have a side-armer so I set myself apart being the only one. I liked it for the most part, but I just couldn't get my velocity up to where I knew I could. When I went to the Texas Collegiate League, I went back over-the-top and I was throwing harder than I ever had. After that performance, the head coach at Weatherford told me to go back over the top because when school came back around I was going to be a starter. My stuff just played up better as an over-the-top pitcher. JG: What was the signing process like for you as an undrafted free agent? Did you get interest from teams other than the Red Sox? Had there been much interest heading into the draft, or did things only pick up after your performance in the Texas Collegiate League? RM: I didn't have great numbers in college and I didn't throw any harder being a side-armer so there was no interest from any team before the draft. After the TCL All-Star Game the Braves called me and made me an offer, as did the Astros and Marlins. In the end, Boston was the place I thought was the right place for me. JG: Coming into the organization, it seems that you found success at first, but had some struggles in your first full season in Greenville – to what do you attribute those struggles? How did you overcome them? RM: I came into my first full season extremely over-weight and I was not physically ready for baseball or any other physical activities frankly. After the season I told myself, "if you want this to be your career, you need to dedicate yourself to it and make it as far as you can". I went and hired a personal trainer and worked out everyday until it was time to report for spring training. JG: I understand that you came into camp in 2009 in tremendous shape - what was your training program during that off-season? How did that carry over on the field? Did you use the same program this past off-season? RM: I would work out with a personal trainer five days a week. I was just ready for the season when I came into spring training. I gave myself the best possible chance to break camp at the highest level possible and I had a great year in 2009. I hired the same trainer and did the exact same thing this past off-season as well. JG: Since you moved into the starting rotation late last year, how was starting different than relieving for you, and do you prefer one over the other? When did you know that the club was considering such a move for you? RM: As a starter, you really get to work with your whole repertoire of pitches and set up hitters, something that you don't do as much out of the bullpen. I don't prefer starting to relieving, the way I see it pitching is pitching, whether it's getting a start or coming later in the game. I love going out there and competing, I just want to be on the hill. The club had talked to me about starting a few times before, but honestly I never thought it was something that was going to happen. JG: What was your experience like at the Rookie Development program this offseason? What lessons did you take from the program? RM: Boston is an amazing city and I can't wait to pitch in front of the best fans in baseball. Fenway is a place where no matter what is going on, the fans are always going to be there cheering. Through the rookie program I learned that there is a lot more to baseball than just pitching. You have the media, the fans, and a lot of distractions involved. JG: Coming into this season, have you done anything differently due to the fact that you will begin the season as a starter? RM: No, not really, I'm just going to go out there and pitch inning-to-inning and look to build off my success from last season. JG: We typically ask players to do a self scouting report. I understand that you throw a low 90s fastball, a curveball, and a changeup. Is that still your repertoire? Has your move to starting led you to consider any changes or additions? What parts of your game are you looking to improve in 2010? RM: That's still my repertoire and I don't plan on adding anything to it until I master those three pitches. This season I'm looking to reduce my walks and allow fewer baserunners. JG: What one teammate has impressed you the most since you joined the Red Sox organization? RM: He is no longer with the team, but Hunter Strickland really inspired me. He was younger than me, but his work ethic was outstanding and watching him made me want to work my tail off too. Minor league spring training games are in full swing - special thanks to community members Waterview and Nick Hanson for posting first-hand reports on the SoxProspects Forum. Here are some notes from the last few days: Shannon Wilkerson hit an "absolute bomb" to left field against the Rays on Saturday ... Will Vazquez also hit a home run to left that barely cleared the wall ... Michael Almanzar looks noticeably more filled-out since last spring ... Jose Vinicio (pictured) is indeed in camp - the 16-year-old has looked understandably raw at the plate but has been a terror on the base paths ... Randor Bierd looked good again in a Triple-A start, striking out 4 in 2 innings of work ... Kade Keowen played in the Triple-A game and doubled ... Jon Still homered for Pawtucket ... Chad Povich looked good in the Double-A game, allowing just one runner in two innings ... Jose Iglesias played with the Portland, as did Ryan Lavarnway and Bryan Peterson, but don't read too much into the MLST assignments early on, as the front office likes to see how certain players fare against more-advanced competition and how certain infield combinations or pitcher-catcher batteries work together ... Daniel Nava homered to the opposite field off John Lackey in an intra-squad game on Monday ... Blake Maxwell's command has looked sharp in intra-squad games - no signs of the infamous Rollie Fingers moustache yet though ... Michael Bugary is reportedly getting his fastball back to the low-90s after sitting 87-89 mph late in the 2009 season ... Alan Embree will throw in a minor league game on Wednesday. Several minor league campers that haven't seen ample major league time this spring got the chance to see big league game action since Friday, including Brett Harper, Pete Hissey, Drew Dominguez, Mitch Dening, Ray Chang, Ryan Dent, Willie Holmes, Zach Gentile, Mike Jones, Ronald Bermudez, David Mailman, Anthony Rizzo, TJ Large, Alex Hassan, Chris McGuiness, and Derrik Gibson. The most impressive lines for the prospects in major league games include Josh Reddick (.417/.447/.722), Mark Wagner (.467/.500/1.067), Felix Doubront (0.00 ERA and 0.71 WHIP in 7 innings), Jeremy Hazelbaker (2-for-6 with 2 walks and 3 runs), and Hissey (4-for-6 with 2 RBI). Among the prospects not able to help their causes in short time in major league games have included Lars Anderson (0-for-18), Aaron Bates (.179 in 28 at-bats), Angel Sanchez (.214 in 28 at-bats), Junichi Tazawa (10.29 ERA); Large (16.20 ERA), Dustin Richardson (16.20 ERA), Ryne Miller (27.00 ERA), and Adam Mills (27.00 ERA). On the injury front, Jed Lowrie has been a scratch due to fatigue from mono, Zach Daeges remains out with a strained lat, Gil Velazquez is likely out until May with a broken thumb, and Darnell McDonald is day-to-day with a strained oblique. If you haven't had the opportunity to check it out yet, I wrote a piece for ESPNBoston this weekend on the depth of starting pitching in the Sox system. Please take a look if you get the chance. Media links: Alex Speier of WEEI writes about how the Red Sox decided on Miguel Celestino as the PTBNL from Seattle in the Casey Kotchman deal ... Sea Dogs broadcaster Mike Antonellis interviewed Richie Lentz about the reasons for his recent retirment and his memories from Portland ... Speier noted on Saturday that Terry Francona had praise for Hissey, commenting that the outfielder has impressed with his ability to work deep into counts ... Both Speier and John Tomase of the Boston Herald authored articles this week on Joe Nelson's attempt to catch on with the big club ... Brian MacPherson of the Providence Journal talked to Wagner about his two triples in the major league game on Monday, rare feat for the 25-year-old catcher ... Speier also brings us a great piece on Jason Castro, a former Red Sox draft pick who is now a well-regarded prospect considered to be the Astros' catcher of the future. I hate to sound like a broken record, but we're headed down to minor league spring training tomorrow, and we’ll be posting regular updates on Twitter. If you haven’t already done so, you might want to sign up and follow the SoxProspects Twitter feed, as well as the feeds for Chris Mellen and Chris Hatfield. Chris Hatfield, Jonathan Singer, John Gray, and Corey Hersch of SoxProspects.com contributed to this report. Photo by Nick Hanson. In the third installment of the SoxProspects Mailbag, we answer another ten questions submitted via the Mailbox. As always, thanks to everyone that submitted questions. We're essentially out of questions now, so if you have any questions, fire away! The next round of questions and answers may also be posted on ESPNBoston.com as part of our collaboration with that site. SP: I'll throw two prospects out there for you to keep an eye on for 2010, Seth: right-handed pitchers Stephen Fife and Kyle Weiland. Both players have flown under the radar and have improving repertoires that will push them up through the Red Sox system. Fife is a potential workhorse in the starting rotation that features a nice low-90's sinking fastball, complimented by an improving change-up and a curveball with plus potential. He put in a lot of work harnessing the control of his curve, using it more ahead in counts to finish off hitters. Fife will start with Salem and has a chance to push Portland as the summer moves along. Weiland is a former reliever that the organization has brought along in a starting role, and he has responded very well to the transition. His 90-94 MPH fastball has excellent downward tilt and is one of the best fastballs in the system in my opinion. Weiland has been sharpening his breaking ball into a tight slider and making strides developing a low-80's change-up to keep hitters off-balance. He's slated to begin 2010 with Portland and is definitely a name to watch out for in the next couple of seasons to be in the mix for a contributing role with the major league team.